One of the extremely preferred tourist places, Kempty Falls is known for their exceptional and bravura beauty of cascading waterfall. It is located just 15 kms away from Mussoorie nearby Chakrata road and surrounded striking valley and mountains. If you are a nature lovers and planning to spend your time with your family or friends then yes this place is must to visit. 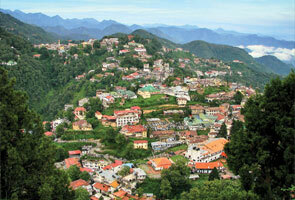 You can assume it as the best tourist place in Mussoorie. 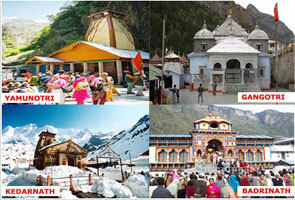 If you are a Trekking freak, then Bhadraj Temple could be a right destination for you. It is just 15 kms away from Mussoorie. This place provides you a bird’s-eye view of Doon Valley, Jaunsar Bawar area of Garhwali Himalayas and Chakrata ranges. Bhadraj Temple is basically a temple of Lord Bal Bhadra, brother of Lord Krishna. A fair is organized by Bhadraj Temple every year in the month of August, which is one of the attraction points for domestic as well as International tourist. Are you in love with the divine beauty of nature or trekking is your ultimate destination? Guys, here is the place Nag Tibba, that can left you a memory for your entire life. This place is around 55 kms away from Mussoorie and gives you a splendid view of dense forests, Garhwali hills and villages. Surkanda Devi is one of the ancient temples situated at an incredible elevation of 10,000 ft above sea level. You can reach this place though 2 km easy trek via dense forest. 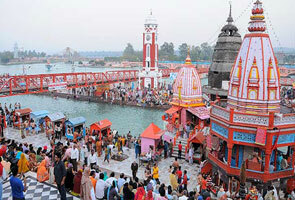 According to the Mythologies, God Shiva Shiva brought the dead body of Sati here from Haridwar on his Trishul. Chamba, a well-known tourist place is situated at an elevation of 1676 meters above sea level and gives you an ultimate view of the majestic Himalayan range and Bhagirathi River. Here you can find the complete package of peace and tranquility. Municipal Garden is the best picnic spot which is only 4 kms away from Mussoorie. Here you can find a beautiful garden where you can spend the special moment of your life with family and friends. Here you can find a majority of picnic spots and excursion sites. 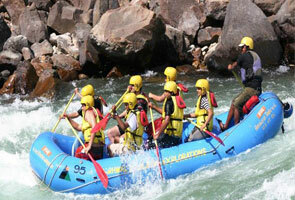 This place is located at the edge of the sprawling Dehradun valley and assumed as the most ideal holiday resort. Lakha Mandal is also one of the ancient temples situated near Lakha Mandal village. The village is situated approx 75 kms away from the Mussoorie but the transport facility is available. You can find the statue of Bhima and Arjun belongs to Mahabharta war.